New design is a great call for making even more changes and starting new traditions. So, we are announcing a new tradition – from now on we will have a monthly column showcasing the best selling templates of the month. To start this new tradition I’ve prepared a round-up of 20 freshest and most sold web templates of November 2015. Quite predictably there are mostly website templates (7), eCommerce templates (4 of different types) and WordPress themes (3). There’s also 3 Joomlas, 1 Drupal, 1 Moto CMS3 and 1 Landing Page template. The thematic categories of these top templates is rather diverse. Naturally, you’ll find a lot of business-related themes, fashion, restaurant, education and transportation have also made an appearance. As you see, this collection is quite diverse. There are, however, some similarities. 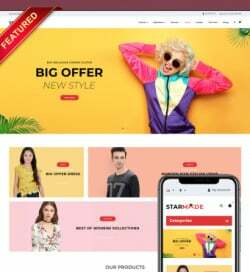 First of all – every web template and theme here has professional quality, it goes without saying – the code is clean and valid, the performance is impeccable and design is trendy. 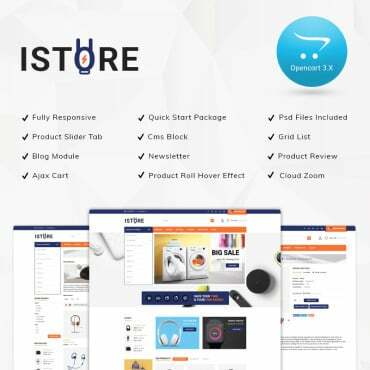 Each of these templates comes with a set of valuable features, you’ll find drop-down menus, tooltips, MegaMenus, integrated Google Maps, Parallax and JS animations. Obviously every template is responsive, cross-browser compatible and easy to modify. You’ll also be pleased to know – right now and for the next few days (till November 30th) every of these templates and any other product from our collection has a hugely discounted price – 60% OFF!. So, let’s have a closer look at the top 20 web templates of November, shall we? Very contemporary design for a consulting firm online presence. Brightly colored elements, hero header slider and ghost buttons are among the most prominent visual features here. This dance studio landing page template is done is dark color scheme and is perfectly in line with the best conversion practices. 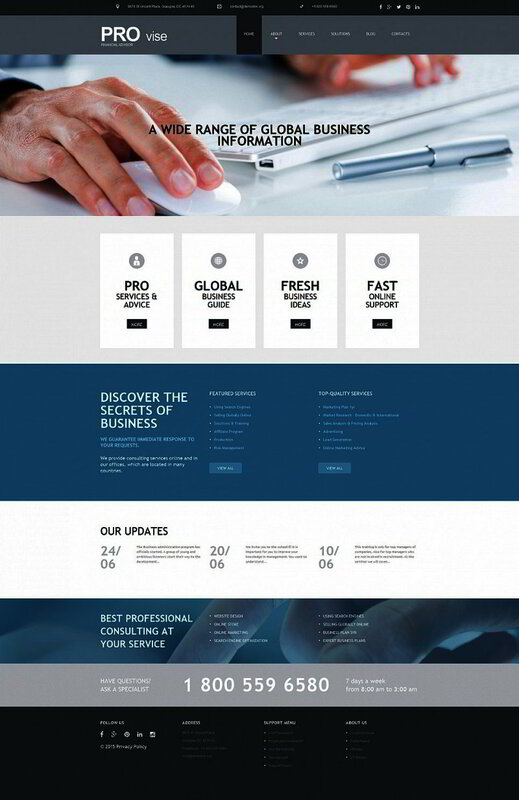 This very clean WP layout for marketing company is done in flat style and has unusual color scheme. Check out the live demo, I’m sure you’ll be impressed. I love the tile-like structure of this website template and the subdued shade of blue it has as the main color. This solid WordPress corporate theme has a stunning hero header, clever design elements and photo backgrounds. Corporate website template with trendy shades of traditional for business blue color, circle elements and ghost buttons. Very stylish indeed. This Joomla skin is not your average business web template – the full-width photo backgrounds and contrasting colors make it quite unique. Another trendy design for business website, this one has grey color scheme and bold typography. 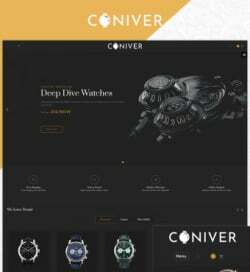 The breathtaking photo backgrounds of this jewellery online store template make it the best choice for a truly sophisticated business. No wonder it’s a bestseller. 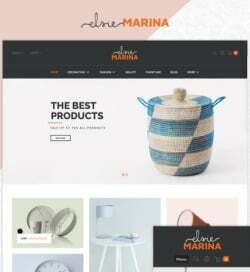 This responsive Magento theme is a wonderful example of a truly stylish modern fashion store. This minimalistic restaurant website design has brightly colored buttons, custom icons and hero header slider. 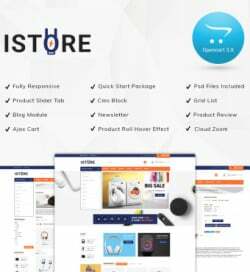 This stylish fashion online store design has a well thought trough showcase for the products. Check it out in the live demo! 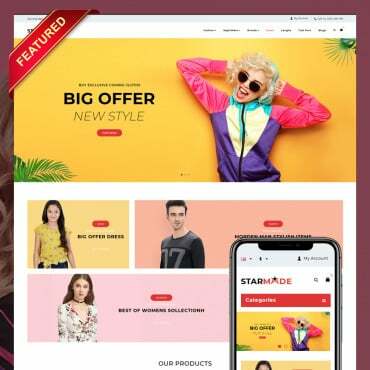 Trendy colors, awesome full-width photo backgrounds and the most functional showcase you can imagine – these are just a few of the features this fashion PrestaShop template has to offer. This website template has very minimalistic and very bold design, any business would look impressive with a website built with this design. This business website drupal design has very dark color scheme and unusual rectangular elements. This business web template is full of awesome features, like any other Moto CMS 3 template. 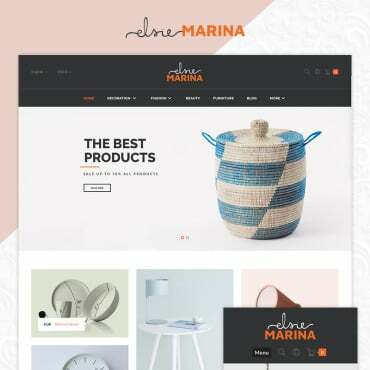 Surprisingly enough this fishing club Joomla design is among the bestsellers this month. On the other hand – why not, it’s got a great design and full functionality, plus it’s easy to modify to fit any online project. This impressive website design has very minimalistic layout, bold colors and stylish polygonal pattern in the background. Designed for organic baby food provider this website template has very appropriate fonts and patterned backgrounds. 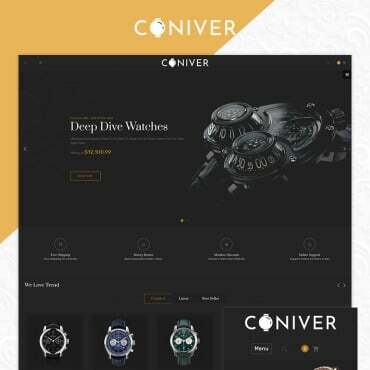 This monochrome Joomla! design is perfect for business, marketing or financial consulting company that needs a particularly stylish and fully functional website.